ELKHART, Indiana — HARMAN’s Crown Audio today announced EMPOWER by Crown, a new embedded amplifier program to provide third-party active loudspeaker manufacturers of elite consumer electronics (CE) and customer integration (CI) finished product with special access to the Crown Audio portfolio of amplifier technology. Built on Crown’s proprietary DriveCore™ platform, all Empowered by Crown Amplifiers are designed for integration into virtually any loudspeaker configuration and application and provide the same industry leading performance that is synonymous with Crown. As the world’s largest and most sophisticated designer and manufacturer of premium amplification technologies, Crown Audio has developed a vast array of patented technologies for professional and consumer applications. Now, having successfully proven many of these ideas in its own offering and those of its sister brands within HARMAN’s professional, automotive and consumer businesses, Crown Audio is making select platforms available to premium third-parties seeking to integrate the platforms into their CE and CI offerings. The first EMPOWER by Crown amplifiers offer power points from 75W up to 2x750W continuous and 2x1000W burst @ 2 ohms. All Empower by Crown Amplifiers boast industry-leading voltage and current drive capability; ultra-low distortion (<0.1%) and noise (>110dB S/N). 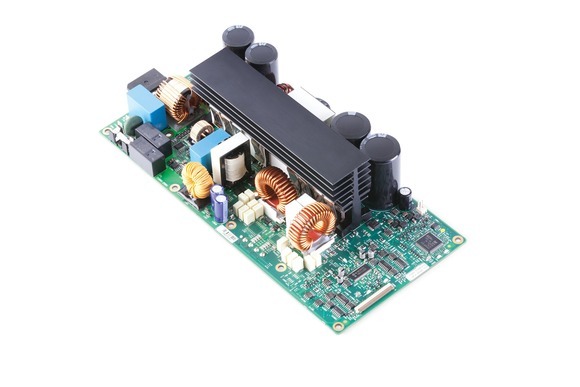 Empower by Crown Amplifiers are EuP compliant, and feature an integrated power supply, plus aux DC supply for input cards and networking options. Driving Crown’s capabilities to deliver customized solutions is its Elkhart, Indiana-based cellular manufacturing facility, which was recently redesigned to decrease time-to-market for new product development as well as a new 50,000-square-foot HARMAN Technology Center in Salt Lake City, Utah that opened earlier this year and houses the company’s Corporate Technology Group responsible for leading company-wide R&D. An example of innovation now being deployed across multiple products is Crown’s DriveCore technology. The DriveCore chip, co-developed with Texas Instruments, combines the amplifier drive stage into the power output stage circuits that are typically much larger in size and power requirements. As a result, power consumption is dramatically reduced and the amplifiers are far more energy-efficient. Ideal for confident deployment in high caliber powered speakers, Crown Embedded Amplifiers will feature an integrated protection suite including Clipping, Temperature, Shorted/Failed driver, over-current, AC mains over/under voltage that is managed locally through Drivecore. All EMPOWER by Crown Amplifiers are backed by Crown’s unrivaled technical expertise and concierge-grade integration and support.